Scott R. Brunton told The Hollywood Reporter that the actor assaulted him while he was unconscious. Actor George Takei has been accused of sexually assaulting a model in 1981. Former model Scott R. Brunton told The Hollywood Reporter on Friday that actor George Takei sexually assaulted him 36 years ago. Brunton, then 23, told the news outlet that Takei groped him without his consent during an evening in the actor’s condo in 1981. Brunton was just begining his career when he met Takei, who was in his mid-40s, saying the men had exchanged numbers and would occasionally run into each other. After breaking up with his boyfriend, Brunton said, he was invited by Takei to dinner and a show. Brunton said he was invited back to the “Star Trek” actor’s home for a drink, and that’s when Brunton says the assault happen. After Brunton’s second drink at the condo, he said, he began to feel disoriented and dizzy, then passed out. Takei’s representative did not immediately respond to HuffPost’s request for comment. Attempts to contact Brunton were not successful. Brunton said that the incident left him feeling betrayed. He said he told multiple friends about the incident, thinking the media wouldn’t believe his story, but thinks things have changed recently. Brunton’s accusations come in the wake of numerous allegations of sexual misconduct by Hollywood celebrities, including industry mogul Harvey Weinstein, actor Kevin Spacey and comedian Louis C.K. The former model says it was actually Takei’s comments after the Spacey accusations that made him come forward publicly. 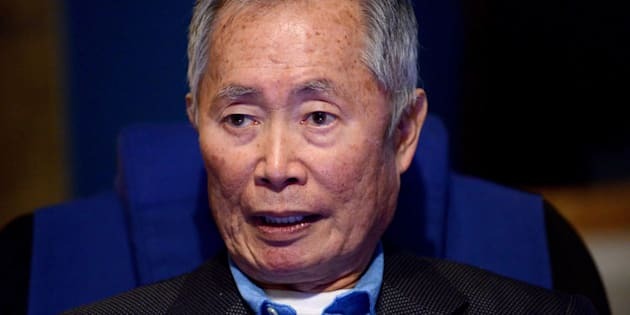 Takei offered a scathing condemnation of Spacey, who was accused of sexual misconduct with a then-14-year-old Anthony Rapp when Spacey was 26. Spacey, as part of his initial statement in response to Rapp’s accusation, said he chose to “live as a gay man,” a move that Takei and many others saw as an attempt to distract attention from the allegation.